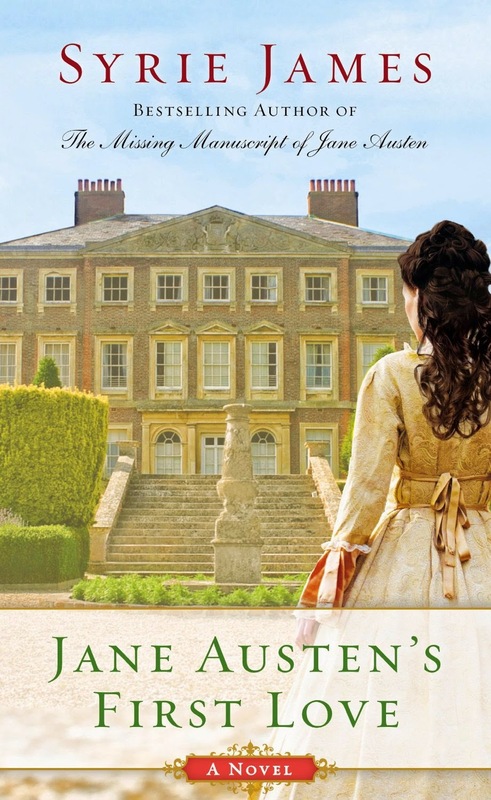 Syrie James’ has written some lovely ‘what if’ books about Jane Austen previous to JANE AUSTEN’S FIRST LOVE, and each have been romantic, genuine, and charming. I found myself believing in the possibility that the story could be true in every book; and this one was no less believable and romantic. In this story, Jane is only fifteen years old, so the youngest she’s been; however, she feels very authentically Jane, while still very authentically fifteen. While visiting her brother in Kent, Jane meets the ever-so-dashing Edward Taylor. Despite that a match between them is very unlikely (he’s wealthy and she’s penniless), the two enjoy spending time with each other and his interest in her seems genuine. She can’t help falling head over heels in love with him. While Jane is trying to discern if his interest in her will lead to something more, or can lead to something more, she distracts herself with a little harmless matchmaking, which opens the door to the Reader seeing the author Jane Austen using her own experiences and observations to create a much-beloved character, Emma, with much the same disastrous results. And I do mean disastrous—because by the time all is revealed, one wonders how Humpty Dumpty is going to be put back together again and all is restored to right. But much like her heroines, Jane makes the necessary sacrifices and like her stories, the right happy endings happen for everyone. Well, except Jane, since we all know how the love story of Jane Austen ends. Still, even though Jane is only able to have true love for herself through her stories, it is fun to read these stories that offer possibilities of where some of the ideas, scenes, and characters came from. In this story alone, I had glimpses of Pride & Prejudice, Emma, and Persuasion, and all felt natural and delightful. An extremely satisfying read. Syrie never disappoints! I don't know whether I could read it, knowing that there is no Happily Ever After for Jane herself. I love Jane Austen but I am not a mad fan of all the sequels out there. Thanks for the nice review, though. I so enjoy reading books about Jane Austen and find it fascinating how authors let their imaginations go and come up with some fabulous stories. Keep it up! It's fun! I'm not sure how many more Syrie can do of Jane Austen, but I loved what she did with one of the Bronte sisters...so if she wanted to explore that again, I'd be totally game for that as well. She does a great job with this kind of writing. Thanks for the review, Hellie! I will be reading this one eventually. Although I'm picky about the books I read featuring Austen, I loved both The Lost Memoirs of Jane Austen and The Missing Manuscript of Jane Austen. I also liked The Secret Diaries of Charlotte Bronte, so I always check out books by Syrie James. That I didn't like the Dracula book was a matter of my taste and taboos rather than her writing. I have not read any of Syrie's books. It sounds like I have missed some worthy books. It is always interesting when a author writes about or incorporates a real person in their stories. Not every one can pull it off successfully. This sounds like she has done well and given us insight into a well loved author's life and works. I will be looking for her books, especially this one. Thank youn for the review. Hi Hellie! Thank you so much for your lovely review of my novel--you made my day. I'm so happy you enjoyed it. I am especially excited about this book because it gave me the chance to introduce the world to Edward Taylor, the young man with whom the teenage Jane falls in love--who is a real person. Jane mentioned Edward Taylor several times in her letters with great affection, admitting that she "fondly doted" upon him--but although scholars deduced he was her first love, very little information was previously available about him. In my research, I discovered an invaluable new source that revealed all the details of Edward Taylor's youth, his many accomplishments, his ancestral home in Kent, and his unusual upbringing on the Continent (all of which I put in the novel.) It was so clear to me why Jane Austen fell in love with him--he was extraordinary! It was great fun to imagine how they met and bring to life their relationship over one very special summer. Thank you again for the review, and I hope readers enjoy the book as much as I loved writing it!